Founded by Walter Pepperl and Ludwig Fuchs in 1945 as a radio repair shop. Pepperl Fuchs diversified into different electronic markets before producing the first proximity switch in 1958 shortly after the first transistor amplifier incorporating an intrinsically safe circuit. Since then Pepperl Fuchs has become a market leader in sensing technology, explosion protection products and intrinsically safe technology. With more than 5000 employees and 80 subsidiaries around the world Pepperl Fuchs continues to be the undisputed market leader in process automation, hazardous area products and intrinsically safe explosion applications. With more than 60 successful years of company history, Pepperl Fuchs has always been possible to blaze a new trail with innovative products. Their challenge has been to intensify growth through innovation whenever it makes sense producing class leading sensing products that cater for tomorrow’s requirements today. Ultrasonic sensors, photoelectric sensors, Incremental and absolute value encoders and Counters and secondary switching devices. Product areas are Signal Conditioners, Intrinsically safe interface components, Remote process interface and intrinsically safe field bus solutions. Electroquip has over 25yrs experience selling Pepperl Fuchs Sensors, Products and services. Electroquip offer free technical advice, are market leaders in Pepperl + Fuchs factory automation products and systems. To find out more about the full range of sensors, The History of Pepperl + Fuchs, the latest news and articles relating to how we can meet your demands - Electroquip are here to help you with all your Pepperl + Fuchs Sensor requirements from Complex turnkey Safety System Design to component supply of Pepperl + Fuchs Industrial Sensors, Laser Sensors, Photoelectric, Inductive Proximity, Capacitive, Trough Beam sensors, Bar code Readers and Encoders for most applications. Volume discounts - we may be able to structure special discounts if you intend purchasing in bulk. 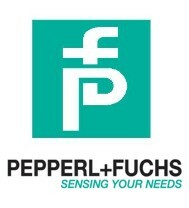 You will benefit from an exceptional customer service and fastest delivery options (same day /next day) for all your Pepperl + Fuchs Sensors requirements.